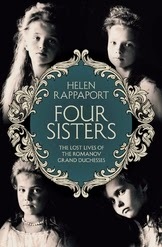 A couple of years ago the Russianist, historian, translator and author Helen Rappaport decided to write about four sisters. I was researching three very different sisters at the same time, so I hoped that collectively we could write about seven sisters, and meet occasionally in north London to toast our progress. Sadly, my chosen sisters fell by the wayside (at least for now), but Helen’s wonderful book: Four Sisters: The Lives of the Romanov Grand Duchesses was published this week. 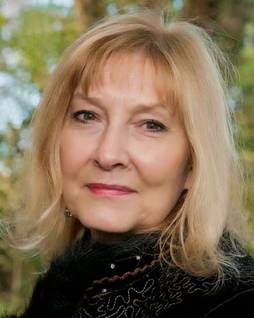 A fluent Russian speaker, Helen is a specialist in Russian history and 19th century women’s history. Her subjects have ranged from a blackmailing Victorian beautician to Lenin’s years in exile, and from the stories of women in the Crimean War of the 1850s to an encyclopedia of female social reformers. Four Sisters is Helen’s second look at the Imperial Romanov family. In 2009 she examined the last painful fourteen days of the dynasty in her history, Ekaterinburg. Now she widens her lens to provide a deeply moving account of the four Romanov sisters, Olga, Tatiana, Maria and Anastasia. Important chiefly as dynastic assets in their own lifetime, these women were perhaps the most photographed and talked about young royals of the early twentieth century. Presented essentially as beautiful, demure figures, flanking their parents, in gauzy white dresses, it would have been unthinkable that not one of them would find a husband. However, in 1918, they were all brutally murdered, along with their parents, thirteen-year-old brother, and loyal personal staff, by members of the Bolshevik secret police. The fate of the Imperial Romanov family is well-known, and yet this is a story still obscured by confusion, deceptions and myth. Inevitably perhaps, such a tragic tale of innocence and brutality has often been reduced to a binary narrative about good and evil. 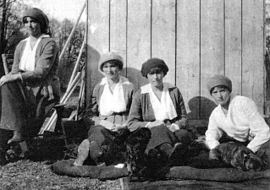 However, presenting the four Romanov sisters simply as innocent victims without independent character, fault or value, does little to further our understanding. The apparently irrepressible desire to believe that Anastasia escaped her family’s fate, despite all evidence to the contrary, has further romanticised the story. I asked Helen why these four women’s lives have not been more critically examined before, despite their fame, and about the politics of writing about women who are primarily known for their relationship to, or association with, more famous men. The tragic fate of the Romanov family provides a brutally direct metaphor for the end of Imperial Russia. How did you balance the focus between the personal drama, and the political context? What is new in your approach to the story? ‘The sisters have always been perceived as an adjunct to the much bigger story of their parents and their haemophiliac brother. I had never had any interest in writing standard biographies of, say, Nicholas or Alexandra, nor have I ever considered myself to be a political historian. 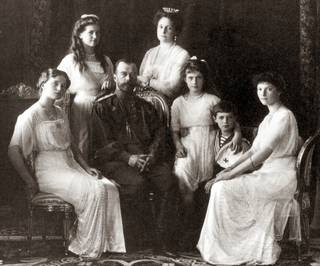 I was interested in the Romanovs' private, domestic life, as a family and how they interacted with each other. How important was your fluency in Russian during your research? Finally, how would you like the four Romanov sisters to be remembered? Helen is passionate about uncovering the neglected truths behind well-known stories and releasing women from what she calls ‘the footnotes and margins’ of history. Four Sisters gives individuality and vibrant identity back to Olga, Tatiana, Maria and Anastasia, presenting them not just as pawns in the hands of their Imperial family, symbols of an out-of-touch regime, or tragic victims of the brutal revolution, but as young women with hopes, dreams, frustrations and fears of their own. Here they are actors in their own right, each responding distinctly to the circumstances, opportunities and constraints of their lives, and living without the foreknowledge that usually clouds perceptions of them. Their personal stories are told lightly but with such scholarly authority that it is easy to forget how new it is to consider them in this fresh and sensitive way. History like this shows how women’s lives have often been doubly marginalised, first in life, and then in their retrospective historical treatment. Helen Rappaport not only liberates the Romanov sisters to great degree but, in doing so, she shows how revisiting the lives of women living in the shadow of more powerful men can illuminate history in all sorts of new ways.